When it comes to dogs, pet owners know no moderation. Most dog lovers are strongly emotionally attached to their pets, and treat them like members of the family. This love and attachment includes wanting to give their dog the best quality of life possible, and take care of them into a healthy old age. And despite literally hundreds of types of high quality dog foods available in the marketplace, many people are now choosing to make their own homemade healthy dog food at home. There are many reasons why a dog lover would choose to put on their apron and start cooking for their pet. When a pet owner makes dog food in their own kitchen, they are spending their food budget where it counts: on the ingredients. They don't have to pay for shipping, packaging, retail markups, or administrative costs associated with commercial dog foods. 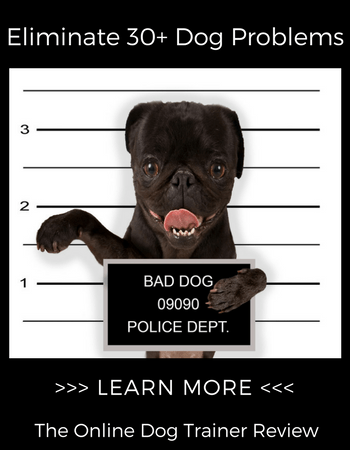 If a dog has developed sensitivity to certain ingredients, or if it's important that ingredients be organic, all natural, and responsibly sourced, then the pet owner can make these decisions on an individual basis. They get to know exactly what their dog is eating, and why. Homemade dog food can be made in small batches, until the chef knows what's just right for their canine friend. Ingredients and nutrient ratios can be tailored precisely to the pet's dietary needs, activity level, and taste preferences. These are just some of the reasons why people are taking it upon themselves to make their own homemade healthy dog food at home. Unlike people, who can get their nutritional needs met by consuming a variety of different foods throughout the day, a dog's food needs to have complete, balanced nutrition in a single serving, every single time. If crucial vitamins, minerals, fibers, or nutrients are missing or deficient, the pet can become sick over time, since they won't get those nutrients from other sources. Making your own pet food is not an area for experimentation, unlike other forms of cooking. It's crucial that the recipe be followed exactly, every single time, in order for the nutrition to be complete and sufficient. You won't be able to swap ingredients based on what you may have run out of or spotted on sale. Cooking dog food can be time-consuming. Due to the variety of meats, vegetables, fruits, and essential supplements, all of which need to be precisely weighed and measured, making your own dog food may not be as quick and easy as you imagined. In order to make your own dog food in the best possible way for your dog, you should first visit the vet. Get an overall health and weight check. If your vet isn't a veterinarian with a board certification in veterinary nutrition, or with a PhD in animal nutrition, then ask for a referral to one, or visit www.acvn.org and look for one in their directory. After you've been feeding your dog homemade food for a few weeks or months, take them back to the vet for another check. Make sure that their weight is the same (or moving in the right direction), and that their blood-work is all good. Nutrition deficits can take a long time to manifest as health symptoms, and by that time a lot of damage has already been done. Regular checkups can help ensure that the new homemade diet is complete and good for your dog. By now, it's probably clear that homemade dog food isn't for everyone, and is best undertaken under medical supervision to treat medical problems. 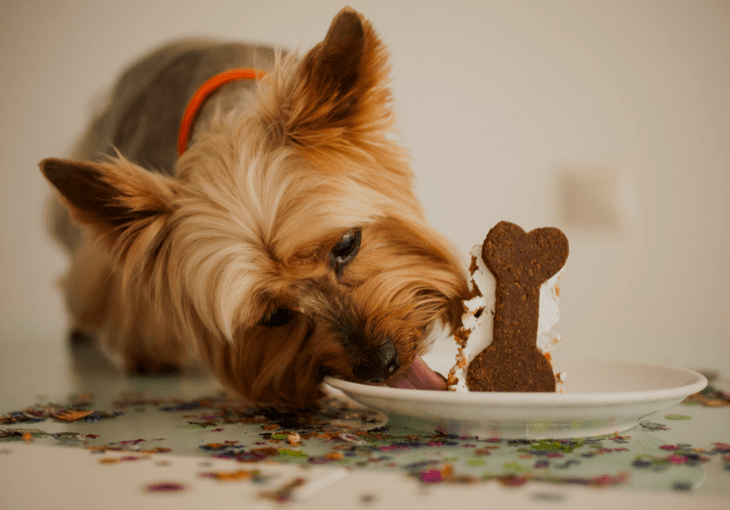 However, there's nothing preventing you from the pleasure of cooking for your dog periodically, making special meals, snacks, and treats your dog is certain to love. Preheat oven to 350° F (175° C). Grease a 6 cup ring mold. Pinch of Yum has a truly decadent dog treat recipe, with a pumpkin-peanut butter combo perfect for fall weather. There are a huge variety of cookbooks for homemade healthy dog food recipes, snacks, and treats. In fact, dogs can and will enjoy most healthy human food you make for yourself in your kitchen. Feel free to explore and enjoy yourself, and supplement a nutritionally complete dog food diet with homemade foods prepared with love.